and not necessarily the opinion of the Laurel Canyon Association. 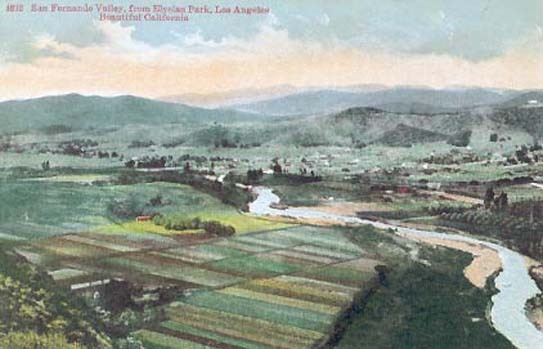 Los Angeles Examiner, Feb. 6, 1909 — That Laurel Canyon is fast growing in popularity as a year-around resort is shown in the great increase in the number of visitors which frequent it every day. From early in the morning until after sunset, numerous tourists and local people may be seen along the canyon road either going to Lookout Mountain or returning from a trip to the famous view-point. During the past year a county road has been built from the mouth of the canyon to Bungalow Inn, which is situated about halfway through the pass, which will make it one of the most famous drives of Southern California. The roadbed is composed of decomposed granite, which was taken from the sides of the hills when the cut to widen the trail was made. It is about 30 feet wide, with an extra width around the many pretty curves along the way. Nestled close to the side of the high mountains and with vine-like windings on account of which it is impossible to see more than 50 yards of the road at a time, the road fills the merry traveler with great romance which is never forgotten. Clustered about Bungalow Inn, a little city has sprung up within the past two or three years, which adds much to the pleasure of the visitor. Like the typical mountain homes, these hug closely to the sides of the mountains, while numerous terraces lead up to them from the little stream below. Everything is planned to meet the intricacies of nature builders. 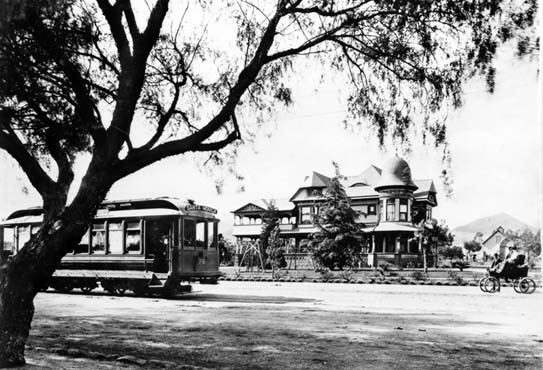 Among the pretty little homes, Kennith Redpath has one of the most beautiful, while that of County Supervisor Eldridge is elegant in the extreme. 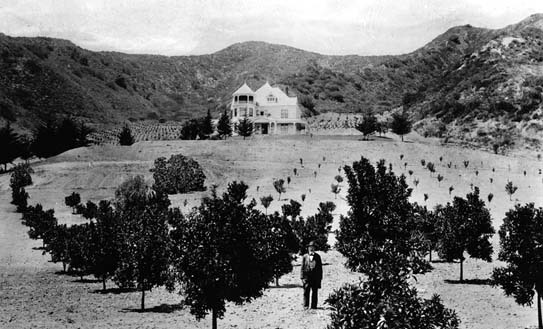 Mr. Eldridge's home is built snug against the side of the mountain, while the frontage is a series of terraces from the little mountain stream below. 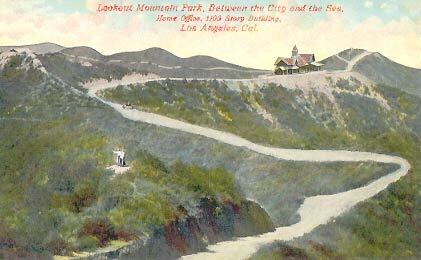 Above the little bungalow city, the road makes a rapid ascent to the top of Lookout Mountain. Until a few weeks ago this was only a trail, but it is now being fast graded into a wide roadbed which will admit of the passing of two vehicles. A large cut has been made so as to make the ascent more gradual. This was our heritage. A place for "nature builders". Much of that nature is now lost. How will we correct the damage and preserve what is left? This is the challenge. To meet the challenge we need a new blueprint for paradise. 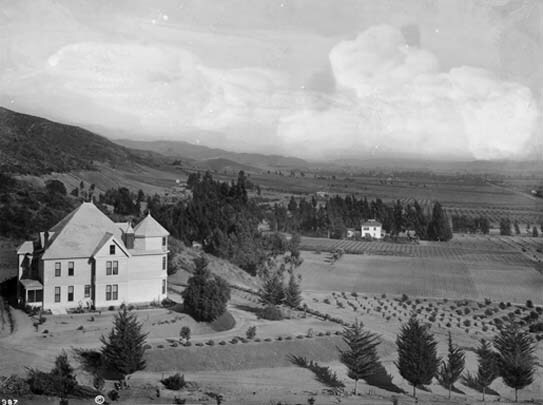 Testimony of Frederick Law Olmstead, Jr.
"Beautiful and broad views from individual dwellings (in the hills) can hardly atone for the lack of a comprehensive and convincingly landscaped neighborhood design and for lost communal opportunities." who coined the term "Urban Sprawl" in an article for Fortune Magazine, 1958. Additional chapters in this essay to come. Please return. This is the first in what we hope will become a Canyon Forum for carefully written and researched essays on the future of Laurel Canyon. Rebuttals to specific essays encouraged. Please indicate if you would like your rebuttal posted. All essays and rebuttals must identify the author. Send essay manuscripts and/or rebuttals to the webmaster.